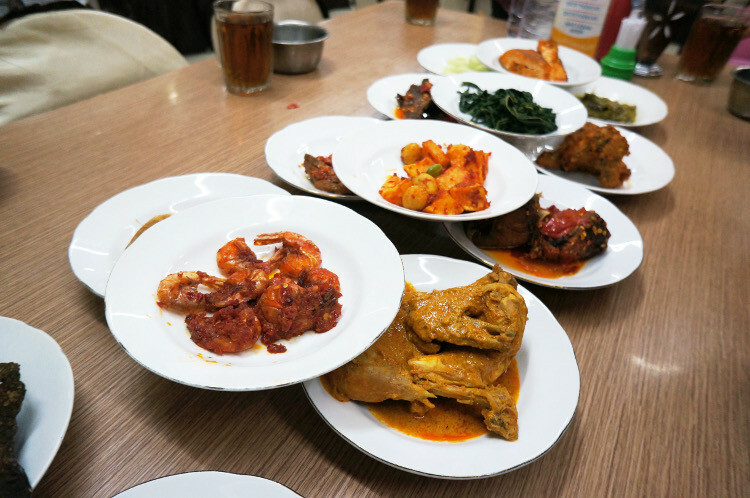 In day one, we spent our time sightseeing indoors and eating at the different padang houses. Day two saw us visiting Jakarta's must see tourist spots. Our first stop was Taman Mini Indonesia Indah. 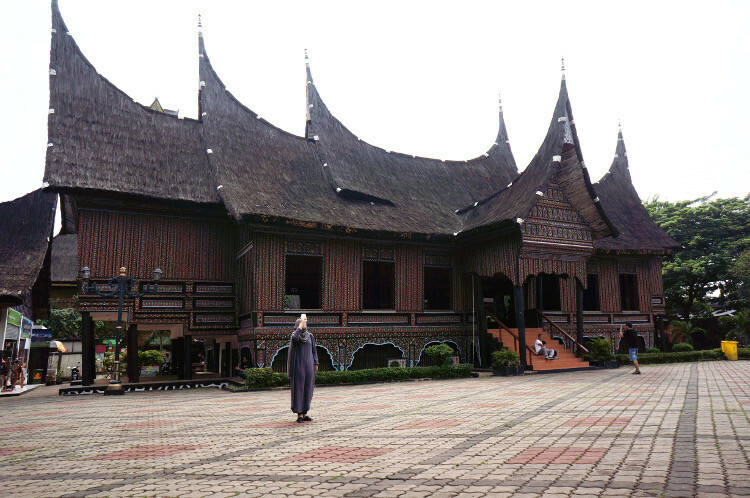 We visited Rumah Minang. 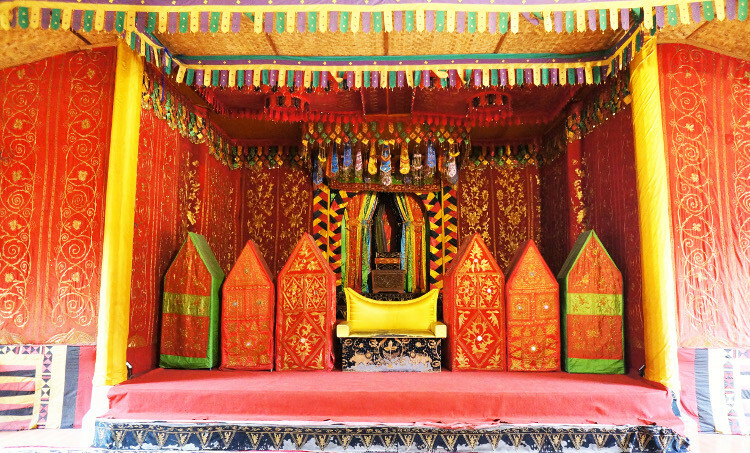 Minang houses are really intricate and colourful. While I was there, I was wondering if I would fit in especially since my life is all black and white! The above picture is a a dais where the bride and groom will be seated as king and queen of the day. Very colourful indeed! 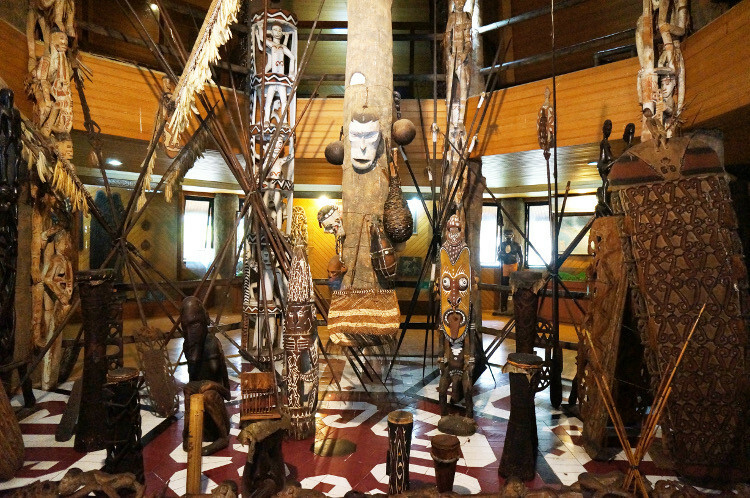 Then we moved to the Papua province. After exploring the Papua's province, we decided to ride the cable car to get an aerial view of the park itself. Look at that castle! 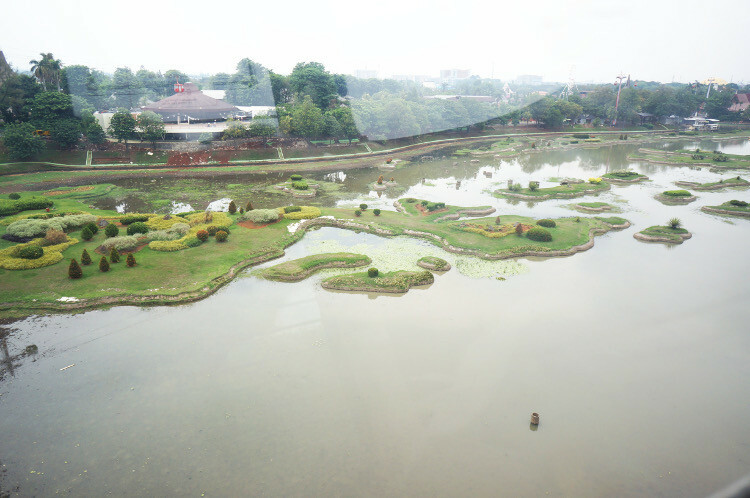 Above is a part of the miniature of the Indonesian Archipelago in the center lake as viewed from the cable car. We visited the Rumah Jawa after ending our cable car trip. Sadly I didn't take any pictures on my camera. I did snapchat a few though. Which is why you should follow me on snapchat (nurfatiin)! We then headed to Masjid Istiqlal for Asar. We didn't realise how huge the mosque was the day before because we came at night but in daylight, it was majestic! Inside, I felt like I was in a stadium of sort. It really was big! 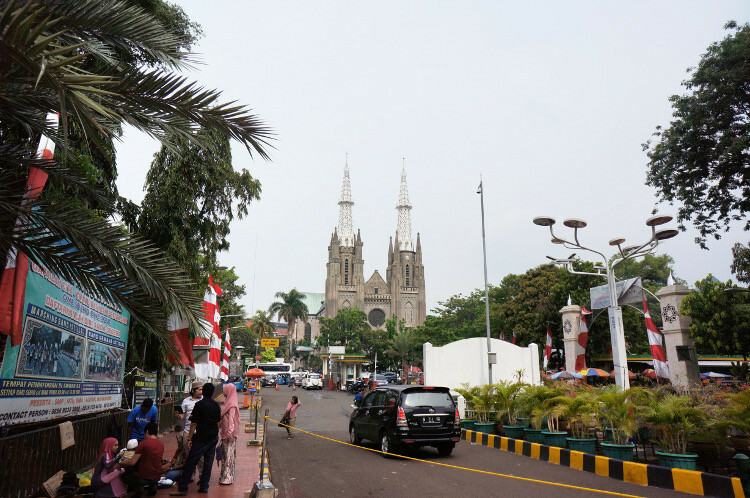 The mosque is positioned next to Merdeka Square and the Jakarta Cathedral. 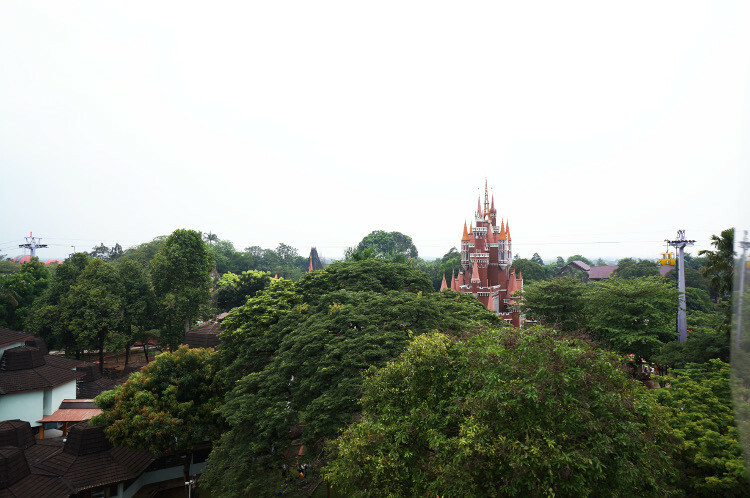 It is a beautiful sight seeing the mosque and cathedral next to each other. It symbolises harmony and tolerance between religion. I didn't take much picture inside the main prayer hall. It is a place of worship after all and not a tourist spot. 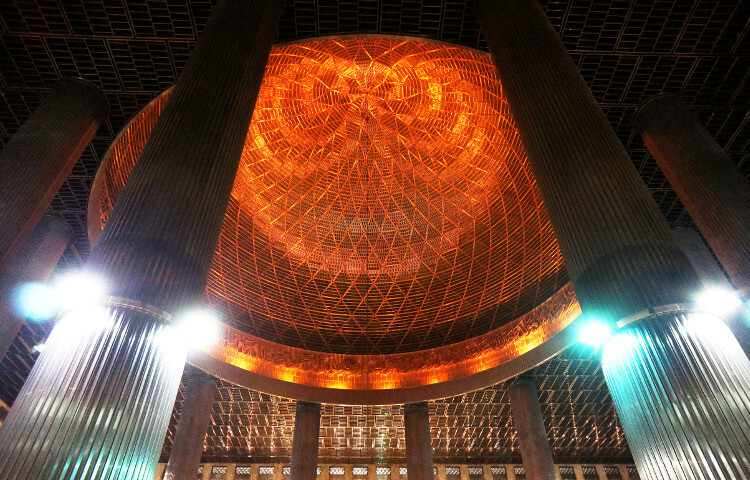 But I can't miss this shot inside the prayer hall. I have seen this image in Halaltrip's instagram before but here I am, in the mosque, seeing this beautiful image with my own eyes. 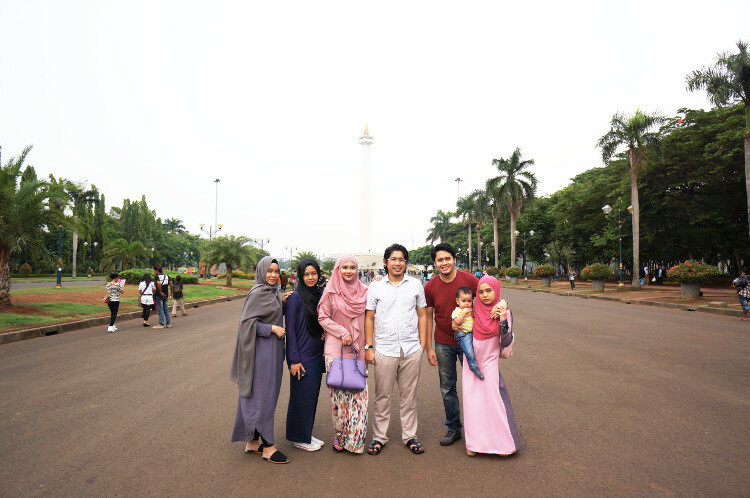 We made our way to the National Monument (Monas) right after visiting the mosque. 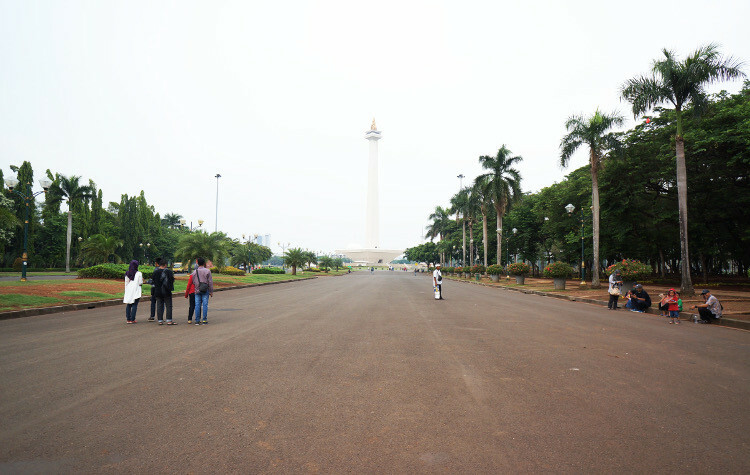 Kang Iwan told us that if we had enough time, we could go up the Monas but time wasn't in our hands. So we took pictures from afar and became the tourists that we all are. I personally love this tourist shot of all of us. We were still quite awkward on the second day but the next city brought us closer. I miss them already! 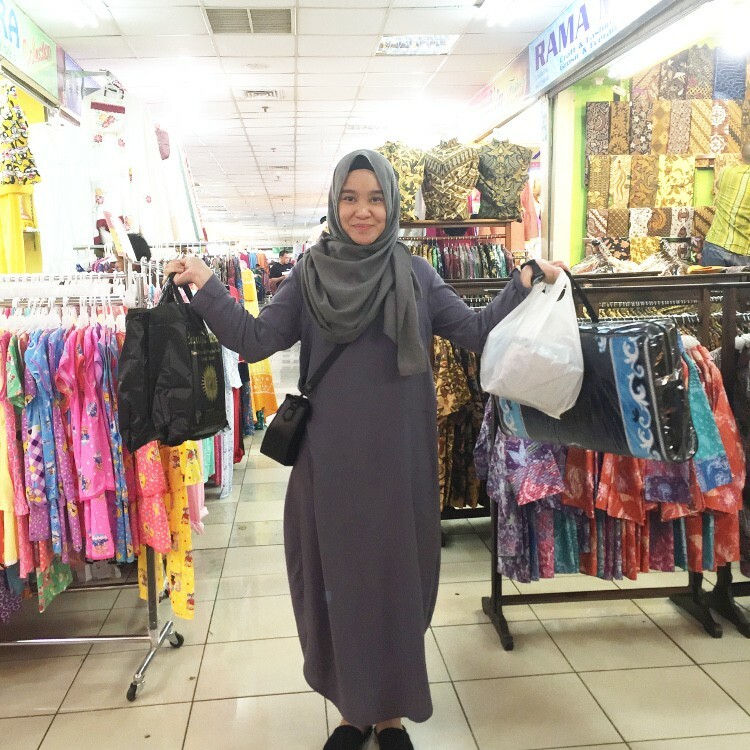 We travelled to Grand Indonesia and spent thirty minutes exploring. We didn't have much time though and I spent my time in Grand Indonesia searching for the restroom and going to the supermarket. Tourist much! I didn't have pictures of our 'trip' in Grand Indonesia but it's safe to say we didn't do much there. However, I went there again last week with Lelah and her family and it's huge! It reminds me of Vivocity but bigger! We only had thirty minutes in Grand Indonesia because we wanted to spend more time at our next destination. 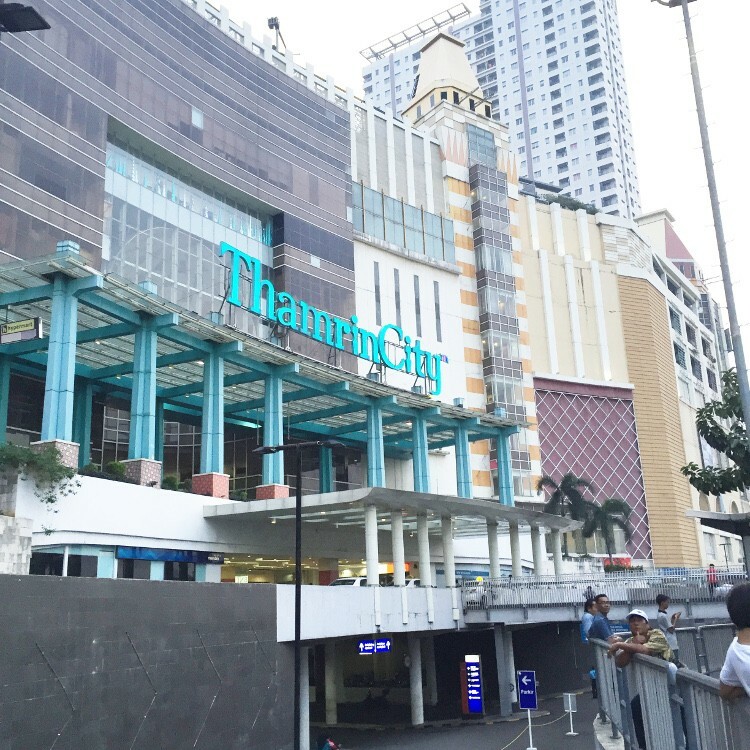 Thamrin City! 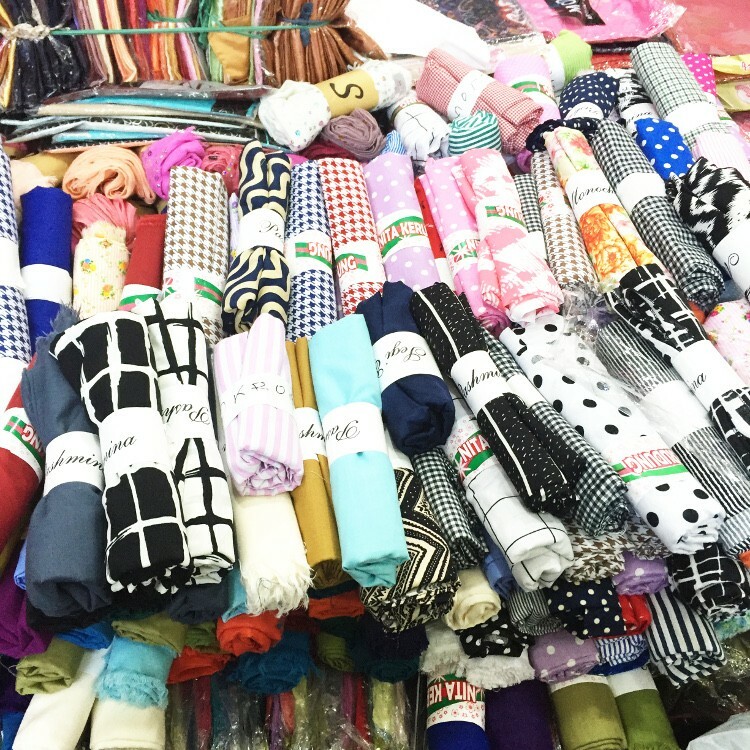 It's a shopping haven at wholesale prices! 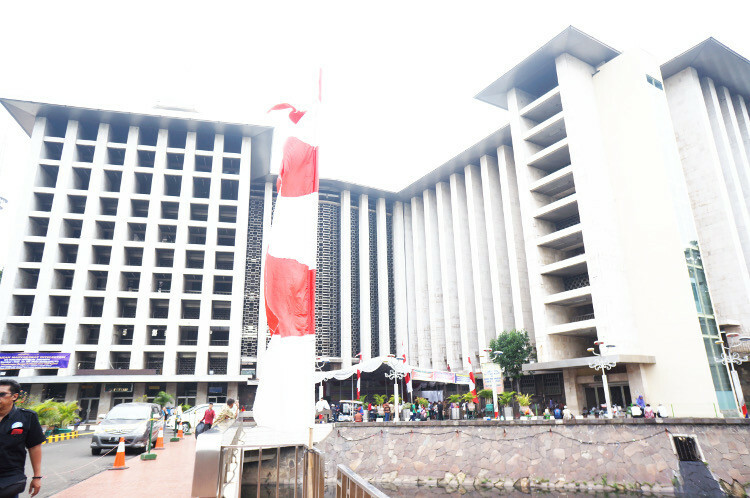 It is a five minutes drive from Grand Indonesia to Thamrin City (without traffic congestion which is almost always in Jakarta). Five minutes in the building and I already have all that in my hands. I pretty much know what I wanted to get. So all I had to do was zoom to a few shops and ask for the price! It helps to know what you are looking for because you can easily lose focus and end up with more than what you need. Ever since using cotton telekung, I have never worn any other materials. 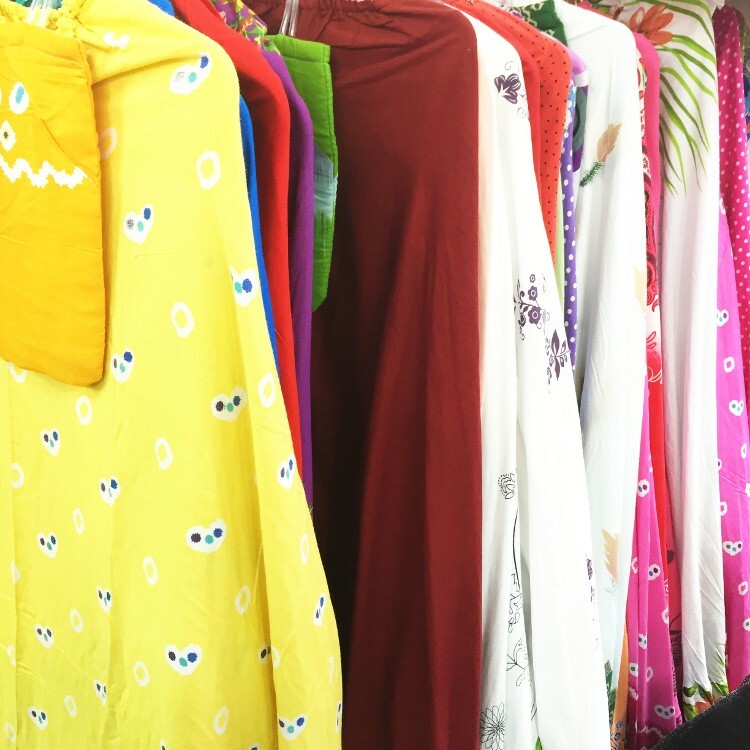 Cotton telekung is the perfect material for Singapore's hot and humid weather. You see, when you are praying, you want to be comfortable so a cotton telekung is the answer. If you can, please buy it in Indonesia. Don't get it in Singapore. I saw shops in Singapore selling it for SGD30 when I paid for less than SGD10. So if you ever go to Thamrin City, get your praying necessities for cheap! I recommend the cotton telekung and cushioned sejadah. hehe don't say I never tell you! 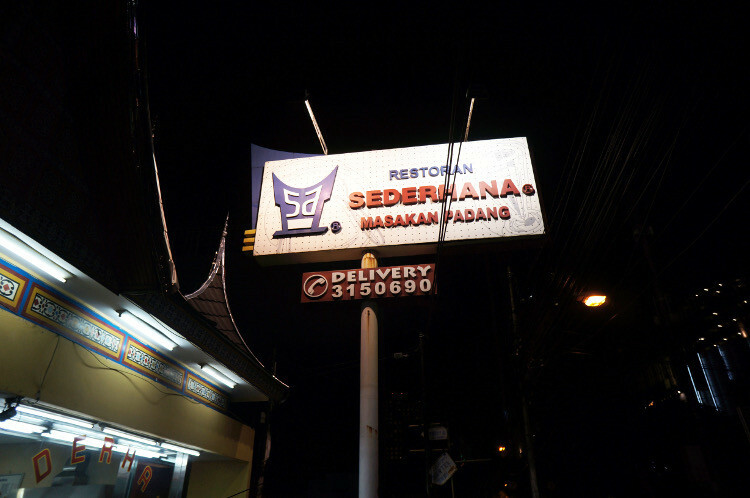 Dinner was at Restoran Sederhana (which is nothing sederhana [translate: normal] about the food!) 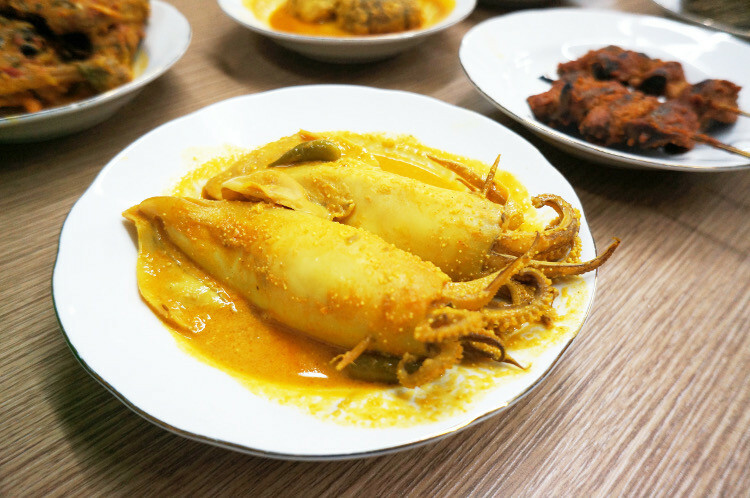 Masakan Padang. Dishes were served on the table and I cannot be happier. Fried chicken, potato patty (begedil) and many more! Honestly, the best drink to accompany your meal is 'Teh Manis Panas' which translates to Hot Sweet Tea! The best I tell you. Well, that's it for Jakarta Day 2. In fact, that was the end of our first leg in exploring Wonderful Indonesia. Next stop, Bandung! Stay tuned! Don't forget to visit Halaltrip.com to book for your next halal-friendly packages!